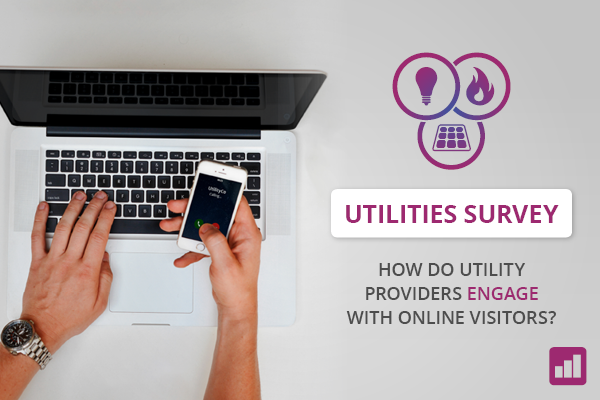 A customer engagement survey conducted by online recovery specialists Optilead, who work with a number of energy providers including 2 of the big six, identifies energy providers are failing at customer engagement and missing opportunities to maximise web conversions. With in excess of 6 million energy accounts being switched in 20151, no-one in the energy sector needs to be told how competitive the market place is, but this survey highlights the majority of energy suppliers are missing huge opportunities to win new customers. To understand how online energy companies in both Great Britain and The Republic of Ireland responded to customer engagement, Optilead conducted testing on 28 energy websites. Each site was tested 3 times for online abandonment – the moment a website visitor part fills the switching forms but doesn’t complete the switching process – to see how well they managed switching abandonment and once for call backs – where a website offers the visitor the opportunity to request an agent call them back – to see how they engaged with customers that require assistance. 89% of the companies tested didn’t make any attempt at all to re-engage with these abandoned prospects. That means of the 28 companies we tested, only 3 picked up our abandonment and made any attempt to connect with us in a bid to win our custom, despite the average yearly energy tariff being in excess of one thousand pounds or euros. Of the 84 tests conducted over the 28 companies, our researchers only received 9 emails letting us know how to complete our order for switching – but not one company called us to see if we needed assistance and to guide us through the process, even though they all received our name, phone and email details. Optilead’s second stage of testing on the 28 energy sites was the call back feature. Call backs offer a fantastic way for customers to request an instant call back relating to switching and again speaking to an agent directly can often be easier than completing lengthy web forms. Of the 28 energy providers only 3 offered a call back feature, and the quickest response was 1 hour and 33 minutes – more than enough time to for an online visitor to find another energy provider! The longest response was nearly 22 hours – which is well beyond the recommended timeframe of 5-15 minutes to gain the most significant decision maker contact rates. “Each year vast numbers of customers are looking to switch energy providers, but they are not getting the help they need. By calling within the first 10 minutes, you are over 3 times more likely to convert, than calling after one hour.” says Wilkinson. High rates of abandonment are often put down to complex switching processes. But what energy providers should be looking at is what they can do to make the most of customer engagement and help customers complete switching when they show an interest,” she added. Inevitably, Optilead’s own experience within energy providers including those in the big six, proves companies that utilise a real-time multi-channel customer engagement solution which includes a mix of phone, email, SMS will achieve the best results.